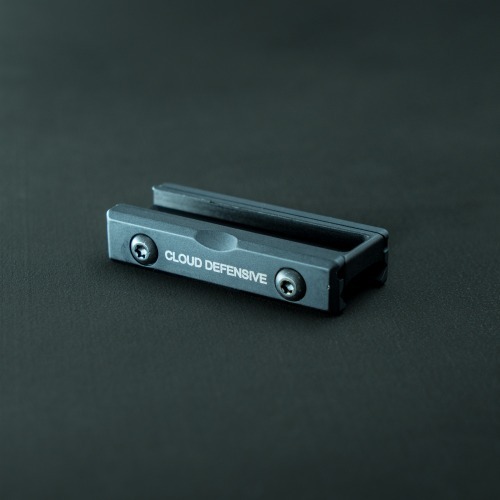 The Cloud Defensive LCS is a very rugged activation solution for rifle-mounted weapon lights. Possibly the most rugged if you’re wanting to run a pressure pad. 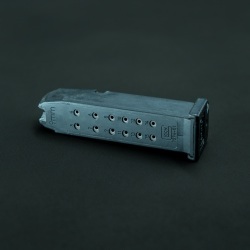 The LCS simply attaches to regular picatinny rail. Most commonly at the 12 o’clock position. 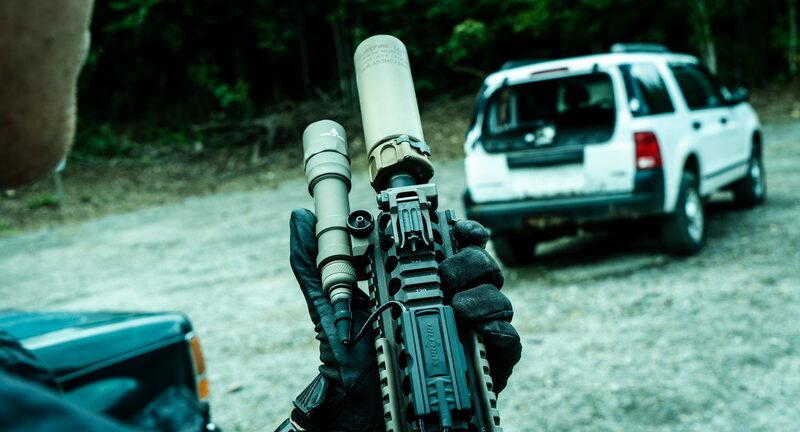 Simply drop a Surefire ST07 into the LCS and you’re set. We highly recommend this setup if you’re not constantly switching out your laser/light equipment but want something intuitive and extremely rugged. DOES NOT include ST07 Pressure Pad. Purchase here. LCS with Surefire X300V and Rear Cap Host. LCS with Surefire X300V and Rear Cap Host completed. LCS with Surefire M300U and DS00 Rear Cap. Why would I want this over the SR07 pad? 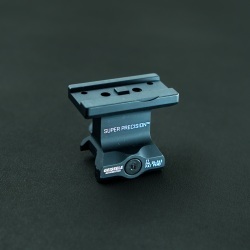 The Surefire pad that clips to rails. It’s a more permanent and durable pressure pad solution. 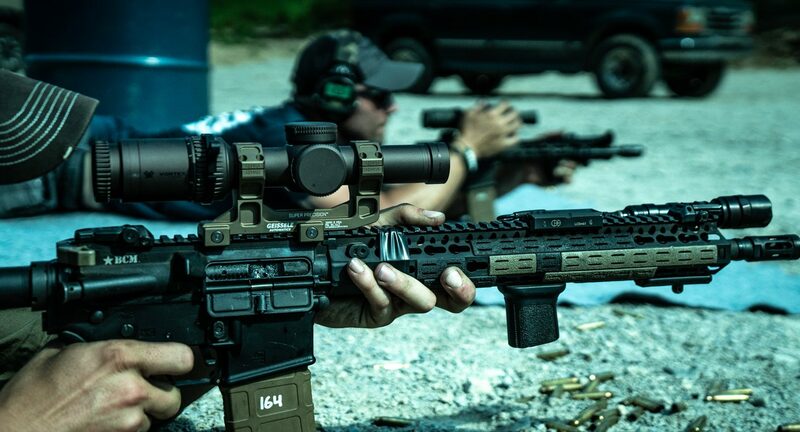 So if you’re not constantly re-configuring your rifle, this is a better option. 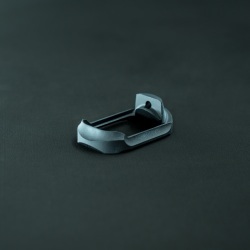 Once the LCS is bolted to your rail… it’s not going anywhere. The wire can also be more protected if you run it inside the LCS channels. Is the LCS kind of a pain to screw to the rail while threading the pressure pad wire through the channel? Yes. It’s not just you. But once it’s done… it’s done. LCS on a DD RIS II with a M600U. LCS with the other Surefire Scout pressure pad options. 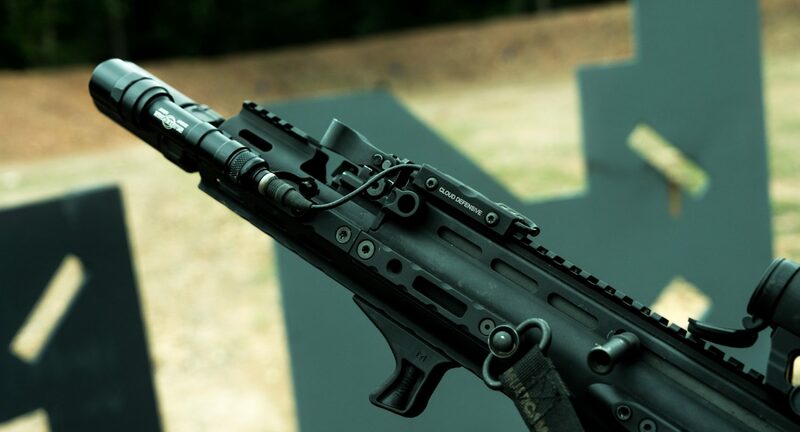 Mounted to a SCAR 16. 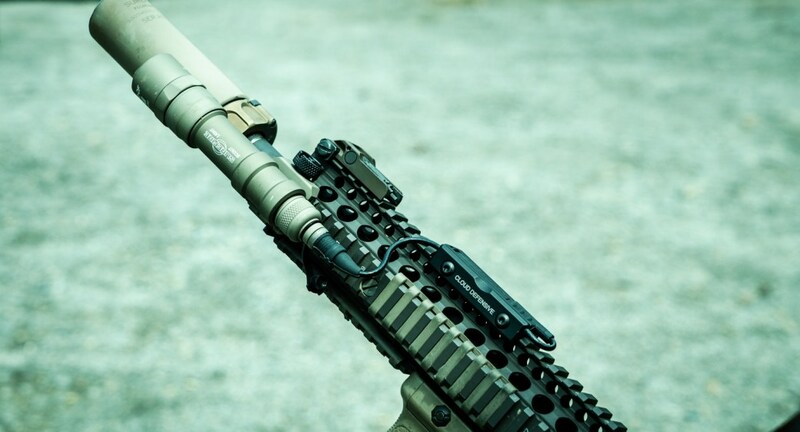 Surefire M600U attached to the left side with LCS at 12. Intuitive to activate, and out of the way of the support hand. 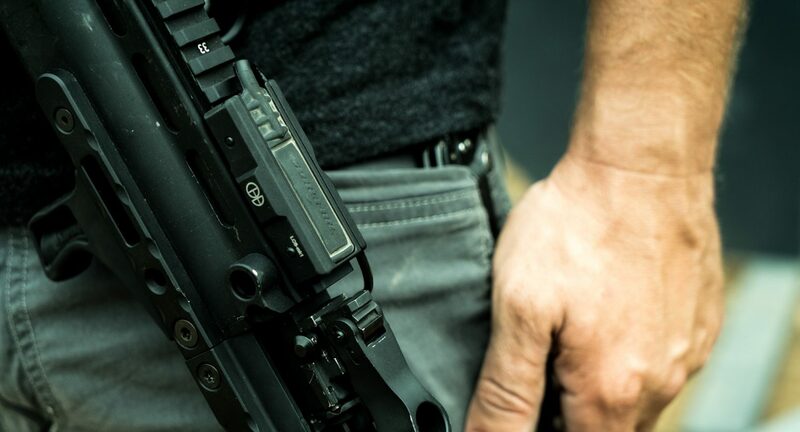 LCS and ST07 mounted to a 300BLK MCX. Only thing left is some tape or zip ties to keep the wire conformed to the rail. Mounted to a BCM 14.5.